I also couldn’t stop ogling at this setup, because seriously, is this not the most stunning table décor you’ve ever seen? 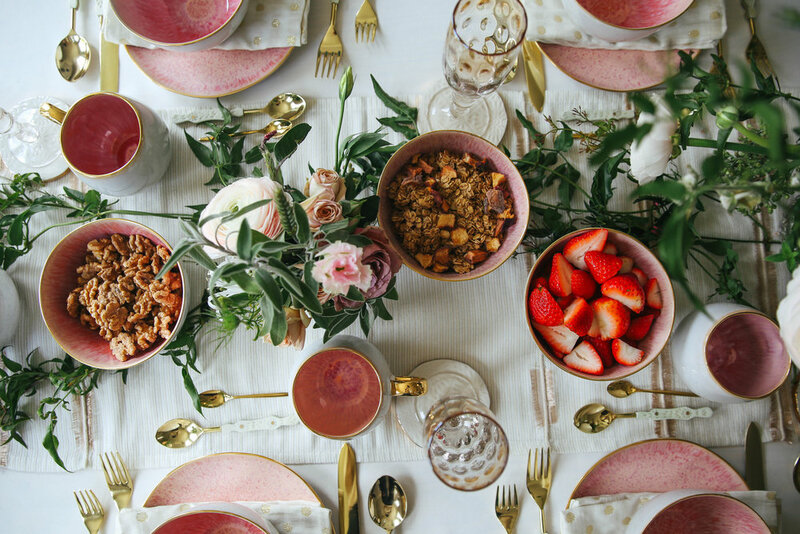 All the adorable pink dishware and dainty gold utensils are from Anthropologie (of course), the dreamy floral arrangements are from Ampersand, and the handwritten invitations and place cards are from Lovely Letters. 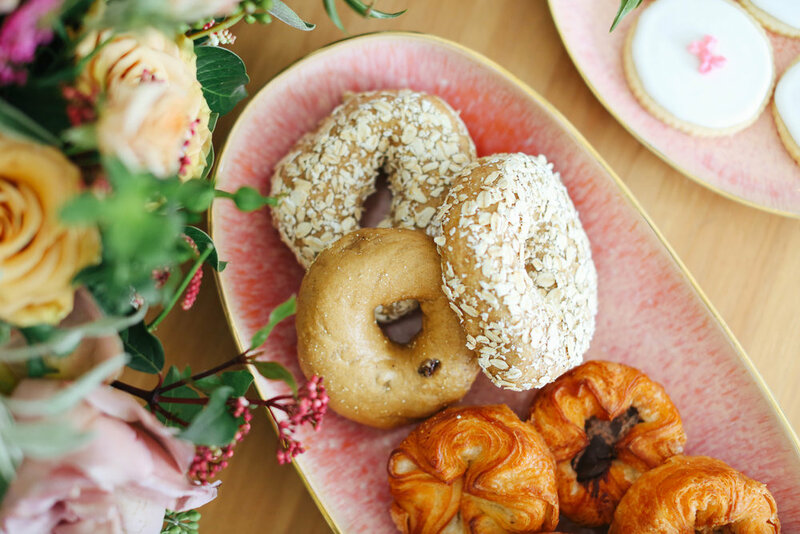 As for the homemade yogurt and cakes with sugared rose petals, those were prepared by our very talented host, Kelly (you can find the recipes on her blog here).